This research is about future sensor devices for force, pressure, and weight. 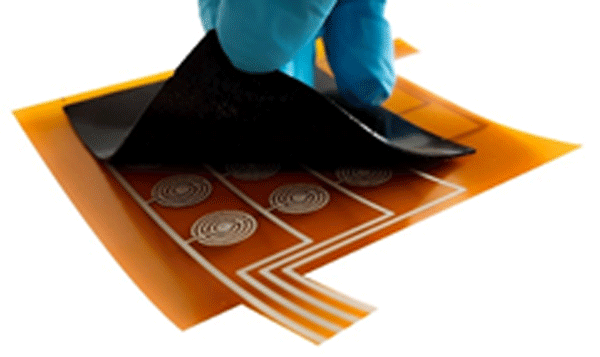 The core of such sensors for mechanical quantities is a thin film that reacts to deformation. We are developing new sensor films with higher output. Different compositions of metal containing carbon films are examined. Most preferable and stable films contain nickel and carbon. The microscopic film morphology is uncovered. Electron tunneling between nanoparticles is responsible for the very sensitive reaction. An electrochemical hydrophone based on the principles of molecular electronic transfer (MET) is described. 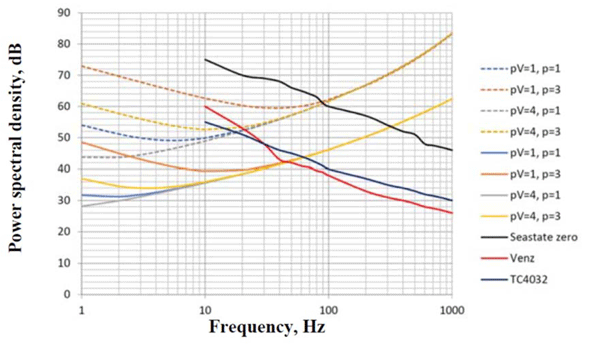 The paper presents theoretical and experimental results for the sensitivity and the level of self-noise determination for METH in the frequency range of 0.02–200 Hz, which determines the fields of acceptance of the devices being developed. An experimental model has been developed by using a force-balancing feedback. Different methods and techniques for its calibration have been developed. We combine two modern trends in component fabrication, namely, the integration of sensors into machine parts and the 3-D-printing technology, which is rapidly emerging in the fabrication of standardized and customized components and prototypes. We present a 3-D-printed ‘smart’ screw with an integrated strain gauge. The signal of the sensor can be used to monitor the fastening process of the screw as well as the reduction in strength of the screw joint over time. 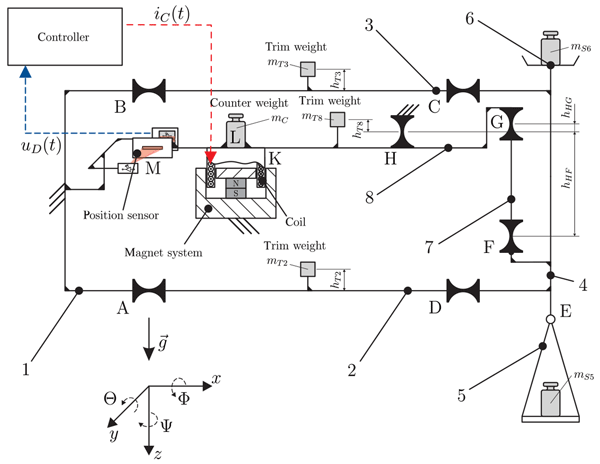 The presented work gives insight into the behaviour of co-resonantly coupled oscillating cantilever beams by means of electro-mechanical analogies. An electric circuit model is analysed with various stages of complexity, and conclusions are drawn regarding the applicability of the co-resonant concept for sensors. Furthermore, this is validated by a comparison between the theoretical predictions and experimental data. The exploitation of new application fields and the drive to size reduction even in highly stable pressure sensing systems makes the extension of the operating temperature range of the microelectromechanical sensors (MEMS) essential. For this reason, a silicon-based pressure sensor with an application temperature ranging up to 300 °C and the associated manufacturing technology was developed. The evolved sensor has an excellent stability and is uncomplicated to mount due to its stress insensitivity. We tested two types of home-made sensing elements – four coupled silicon micro-levers and a multilayer graphene membrane – which have the potential to further enhance the sensitivity of laser photoacoustic spectroscopy. Graphene sheets possess outstanding electromechanical properties and demonstrate impressive sensitivity as mass detectors. Their mechanical properties make them suitable for use as micro-/nano-levers or membranes, which could function as extremely sensitive pressure sensors. 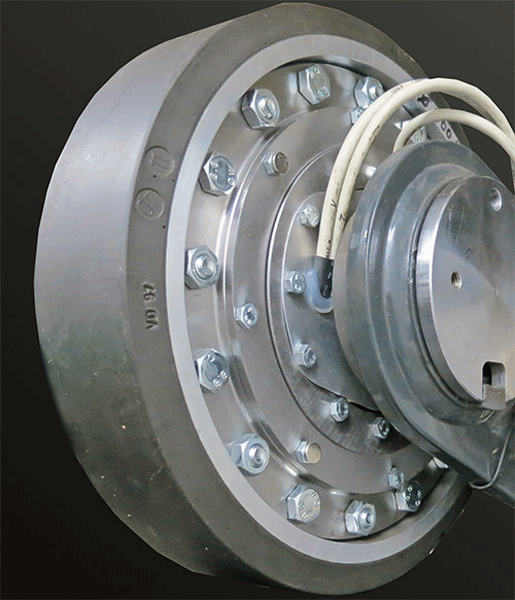 Böhler: Technical datasheet, available at: https://www.bohler-edelstahl.com/de/N700.php, last access: 15 August 2018. Farahmand, B. and Nikbin, K.: Predicting fracture and fatigue crack growth properties using tensile properties, Eng. Fract. Mech., 75, 2144–2155, doi.org/10.1016/j.engfracmech.2007.10.012, 2008. Gustafsson, P., Kolavcic, P., and Lifvenborg, U.: Pressure sensor for measurement of gas pressure in a cylinder of a combustion engine, US Patent, US6561036B1, 1998. Hart, M.: Auswertung direkter Brennrauminformationen am Verbrennungsmotor mit estimationstheoretischen Methoden, PhD thesis, University of Siegen, 1999. Hellemans, A., Landrevie L., Venzal S., and Walker E.: Direkte Zylinderdruckmessung, MTZ Motortechnische Zeitschrift, 72, 770–776, https://doi.org/10.1365/s35146-011-0172-6, 2011. Hidria: Glow plug with integrated pressure sensor, available at: http://www.hidria.com/en/about-us/projects-references/5226/detail.html, last access: 2 August 2018. Kistler: Combustion Analysis in Vehicles and on the Test Bench, available at: https://www.kistler.com/en/applications/automotive-research-test/engine-research-development/combustion-analysis-cylinder-pressure-testing/, last access: 2 August 2018. Kondo, M., Niimi, A., and Nakamura, T.: Indiscope – A New Combustion Pressure Indicator with Washer Transducers, in: SAE Technical Paper 750883, https://doi.org/10.4271/750883, 1975. Langosch, M., Cerino, M., Landes, A., Lellig, A., Vollberg, D., Göttel, D., Probst, A-C., Freitag-Weber, O., and Schultes, G.: Pattern definition of foil based sensors with ultrafast uv-lasers, in: Proceedings of the AMA Conferences 2015 – Nuremberg, 755–758, https://doi.org/10.5162/sensor2015/P2.1, 2015. Last, B., Müller, H., Pottiez, C., Rixecker, G., and Stoller, B.: Cylinder pressure sensor, German Patent, DE102009050911A1, 2009. Microceram: Technical datasheet, available at: https://www.microceram.de/assets/File/MicroCeram_englisch.pdf, last access: 12 August 2018. Parra, F.: Heat transfer investigations in a modern diesel engine, PhD thesis, 118–119, University of Bath, 2008. Powell, J.: Engine Control Using Cylinder Pressure: Past, Present, and Future, J. Dyn. Syst.-T. ASME, 115, 343–350, https://doi.org/10.1115/1.2899074, 1993. Saitzkoff, A., Reinmann, R., Mauss, F., and Glavmo, M.: In-Cylinder Pressure Measurements Using the Spark Plug as an Ionization Sensor, in: SAE Technical Paper 970857, https://doi.org/10.4271/970857, 1997. Schiefer, D., Maennel, R., and Nardoni, W.: Advantages of Diesel Engine Control Using In-Cylinder Pressure Information for Closed Loop Control, in: SAE Technical Paper 2003-01-0364, https://doi.org/10.4271/2003-01-0364, 2003. Schultes, G., Cerino, M., Langosch, M., Kuberczyk, T., Vollberg, D., Göttel, D., Freitag-Weber, O., and Probst, A-C.: Drucksensoren aus Zirkonoxid-Keramik mit hochempfindlichen Sensorschichten, Tech. Mess., 83, 147–156, https://doi.org/10.1515/teme-2015-0096, 2015. Schultes, G., Schmid-Engel, H., Schwebke, S., and Werner, U.: Granular metal-carbon nanocomposites as piezoresistive sensor films – Part 1: Experimental results and morphology, J. Sens. Sens. Syst., 7, 1–11, https://doi.org/10.5194/jsss-7-1-2018, 2018. Schwebke, S. and Schultes, G.: Strain sensitive Chromium sensor thin films, in preparation, 2019. Schwebke, S., Werner, U., and Schultes, G.: Granular metal-carbon nanocomposites as piezoresistive sensor films – Part 2: Modeling longitudinal and transverse strain sensitivity, J. Sens. Sens. Syst., 7, 69–78, https://doi.org/10.5194/jsss-7-69-2018, 2018. Sellnau, M., Plyler, R., and Rodondi, A.: Non-intrusive cylinder pressure sensor, US Patent, US5329809A, 1993. Sellnau, M., Matekunas, F., Battiston, P., and Chang, C.: Cylinder-Pressure-Based Engine Control Using Pressure-Ratio-Management and Low-Cost Non-Intrusive Cylinder Pressure Sensors, in: SAE Technical Paper 2000-01-0932, https://doi.org/10.4271/2000-01-0932, 2000. Sensata: Cylinder pressure-only sensors (CPOS), in: Sensor Solutions For Heavy Duty Applications, Technical brochure, 36–37, available at: https://www.sensata.com/resources/sensor-solutions-heavy-duty-applications-brochure (last access: 2 August 2018), 2015. Simon, S. and Krebs, H.: Fuel injection valve and pressure sensor combination, US Patent, US6318342B1, 1999. Smithells, C. J.: Metals Reference Book, 7th Edition, chapter 11, 259, ISBN: 9780080517308, 2013. Ulrich, O., Wlodarczyk, R., and Wlodarczyk, M.: High-Accuracy Low-Cost Cylinder Pressure Sensor for Advanced Engine Controls, in: SAE Technical Paper 2001-01-0991, https://doi.org/10.4271/2001-01-0991, 2001. Ura, Y. and Oya, K.: Pressure Sensor Module for High Temperature, High Pressure, and Quick Response, in: SAE Technical Paper 2018-01-0759, https://doi.org/10.4271/2018-01-0759, 2018. Vollberg, D., Probst, A-C., Langosch, M., Landes, A., Göttel, D., Cerino, M., Lellig, A., Freitag-Weber, O., and Schultes, G.: Hochempfindliche Folien-Dehnungsmessstreifen auf dem Weg zur technologischen Reife, Tech. Mess., 82, 506–516, https://doi.org/10.1515/teme-2015-0066, 2015.